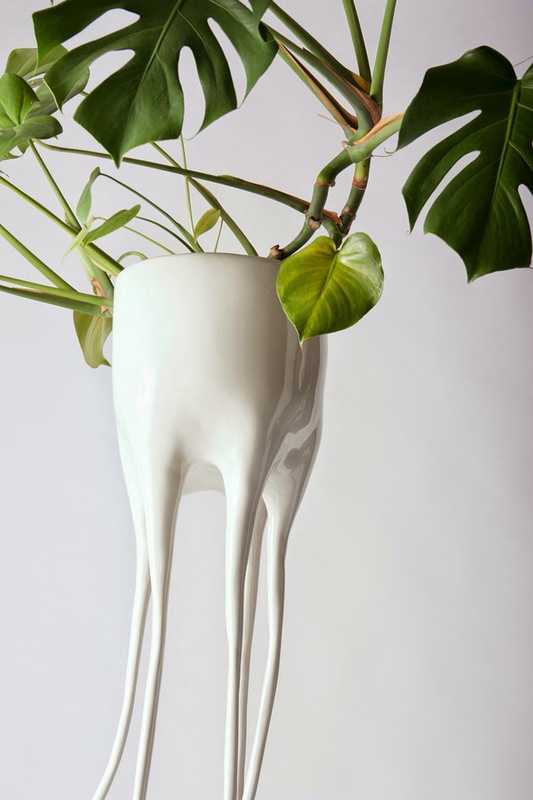 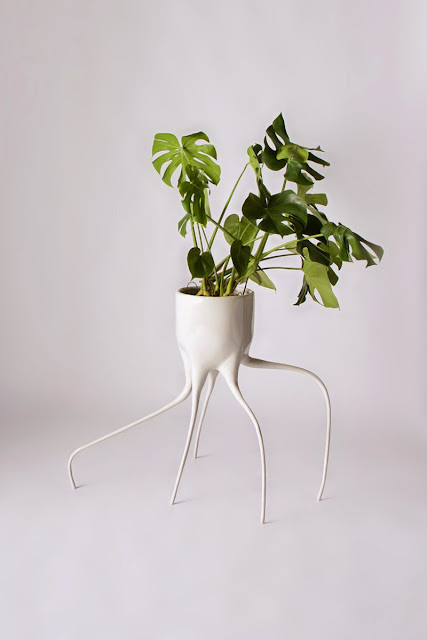 Designer Tim de Weerd has designed Monstera Plant Pots which has long ornate roots that extend downwards from the main container up top. 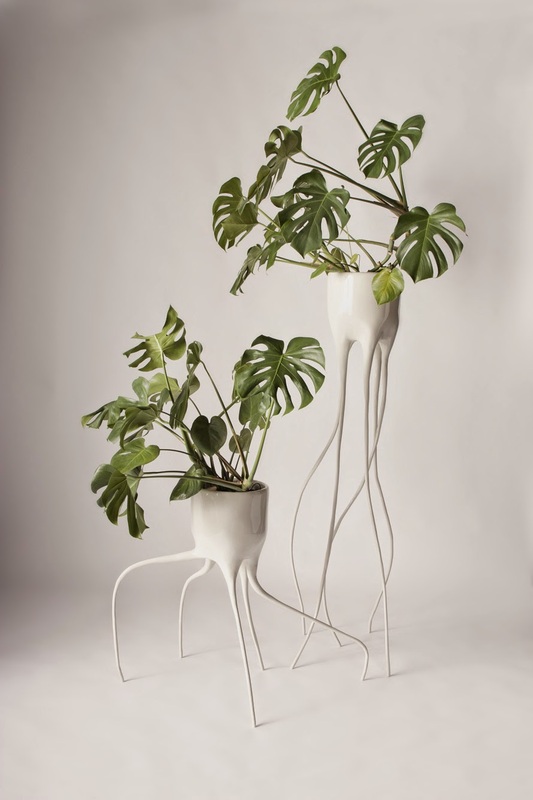 There are two types of pots, one is 'Monstera Magnifica' which is the tall one and the 'Monstera Fugiens' is the short one. 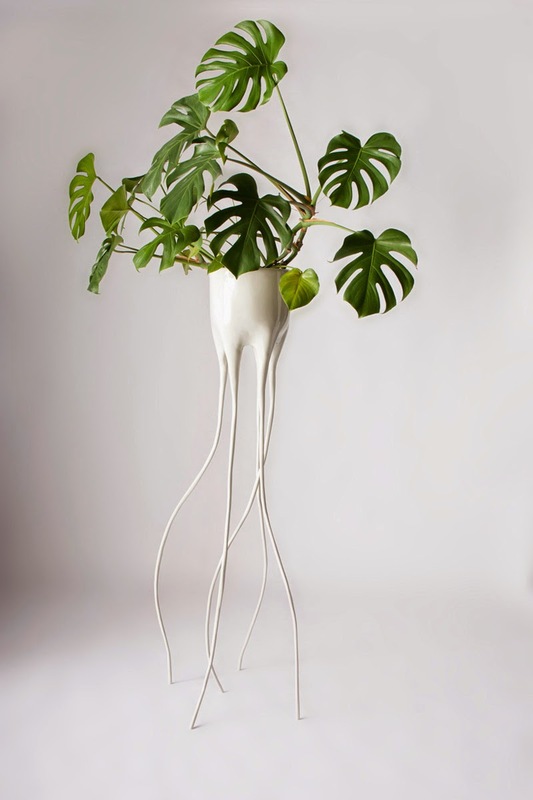 The fragile-looking legs of the Monstera are made of steel bars. These are bent by the hand to the "roots" of the plant and covered with epoxy clay. 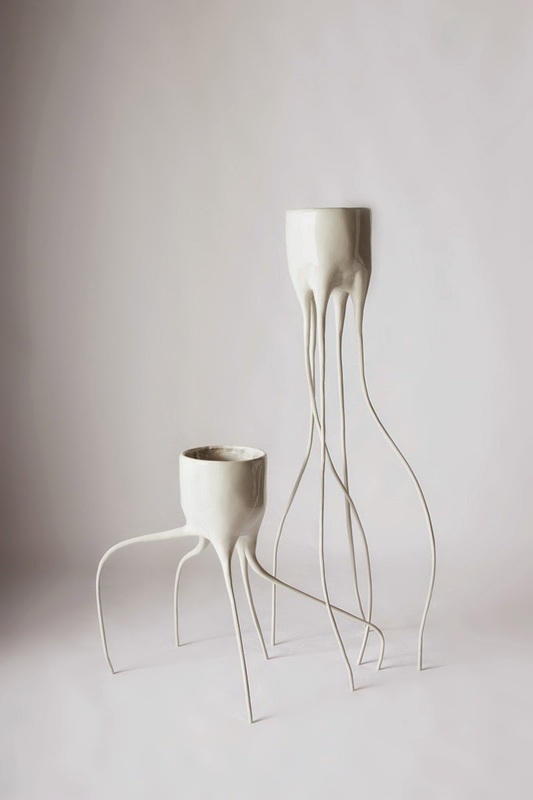 These industrial, chemical clay hardens itself. 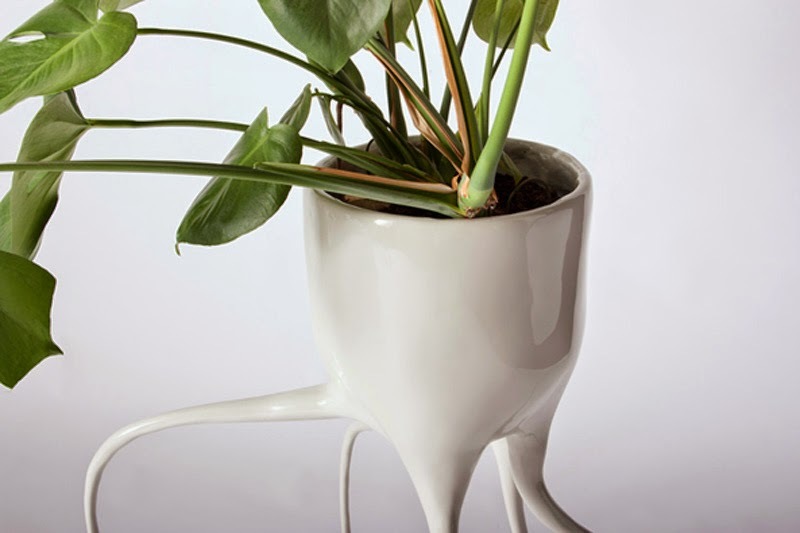 Big bumps are primed, sanded and everything is eventually covered by a thick layer of high gloss lacquer. 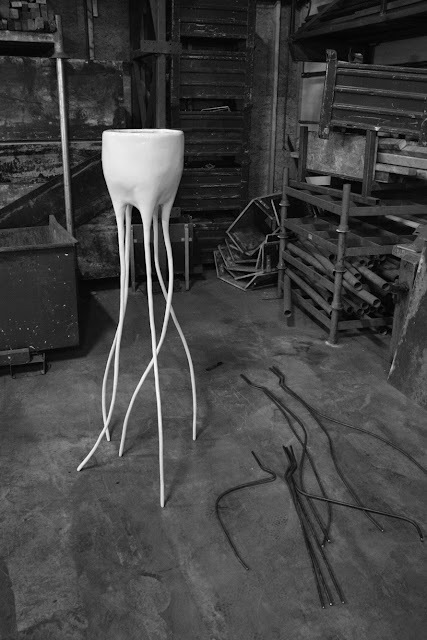 Both the designs were exhibited in the Design Perron during the Dutch Design Week 2014.